We propose EarTouch, a new sensing technology for ear-based input for controlling applications by slightly pulling the ear and detecting the deformation by an enhanced earphone device. It is envisioned that EarTouch will enable control of applications such as music players, navigation systems, and calendars as an “eyes-free” interface. As for the operation of EarTouch, the shape deformation of the ear is measured by optical sensors. 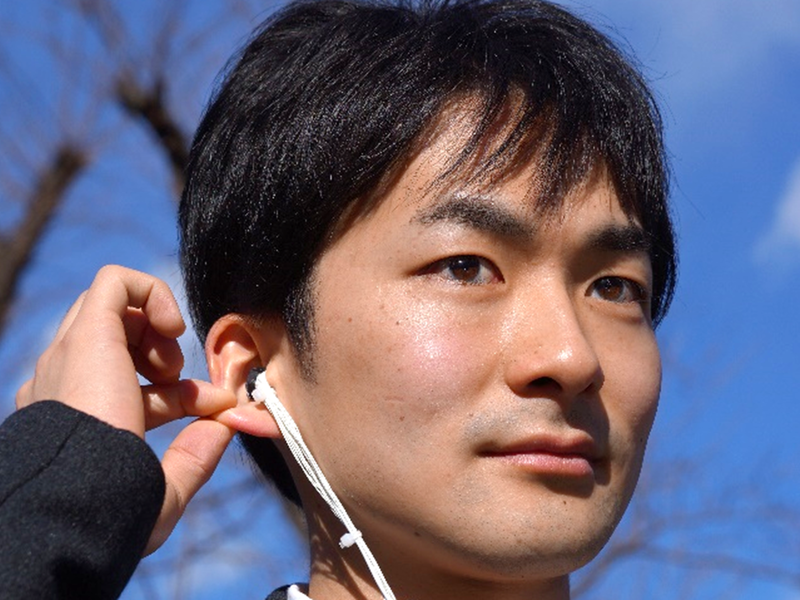 Deformation of the skin caused by touching the ear with the fingers is recognized by attaching optical sensors to the earphone and measuring the distance from the earphone to the skin inside the ear. EarTouch supports recognition of multiple gestures by applying a support vector machine (SVM). EarTouch was validated through a set of user studies.